On January 22, 2019 due to Esophageal Cancer, Jefferey Dale Emery, age 40, quietly slipped away from his Dad’s hands and ran into the arms of his Heavenly Father and his very special Great Grandmother, Gigi. Jeff was born on October 25, 1978 at Keesler AFB in Biloxi Mississippi. 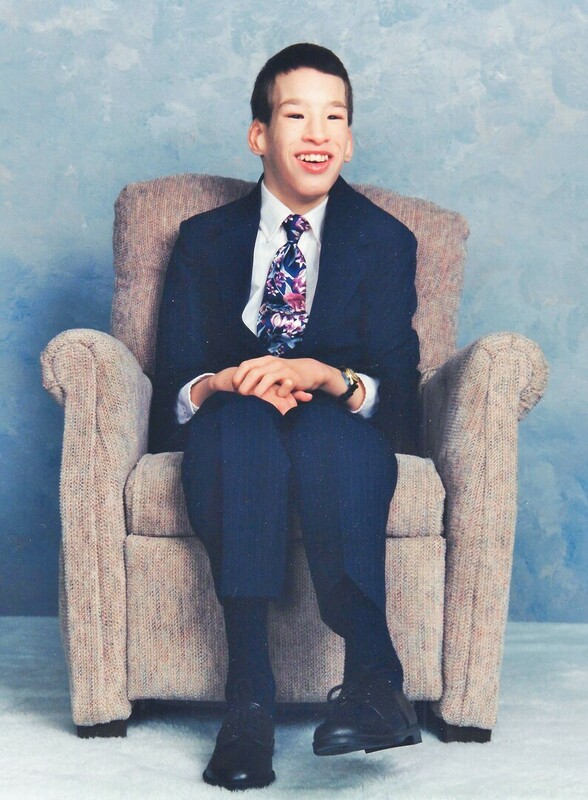 He came into this world two months early and despite having been diagnosed with Cri-dat-chat syndrome and Cerebral Palsy He lived a full and happy life. Jeff never let his disabilities keep him from enjoying everything that life had to offer. He enjoyed spending time in the water, especially with Mom and Dad at St. Froid Lake. He loved Boat Rides, Motorcycle Sidecar rides, riding down hill in a Derby car at the Houlton competitions and the excitement of Hockey games especially when the puck would hit the wall in front of him. Jeff’s main passion were his dogs (Babies) and Balloons. He loved participating in Special Olympics where he won numerous Gold medals in the wheel chair races. Jeff had a real sense of humor and his quick wit, along with a very infectious laugh caused everyone who met him to quickly fall in love with him. Jeff lived with the purpose and gifts given him by his Heavenly Father. Jefferey was pre-deceased by a very special Grandmother, Shirley Barnett of Dixfield Maine. He will be greatly missed by his Mom and Dad, Dale and Carol (Barnett) Emery of Winterville Plt. Maine as well as his Grandparents, William and Shirley Emery of Hollis Maine. He also leaves behind many Aunts, Uncles, Cousins and his extended family of the Levinson Center, Rainbow House, Forest Springs Group Home and the Green Center. 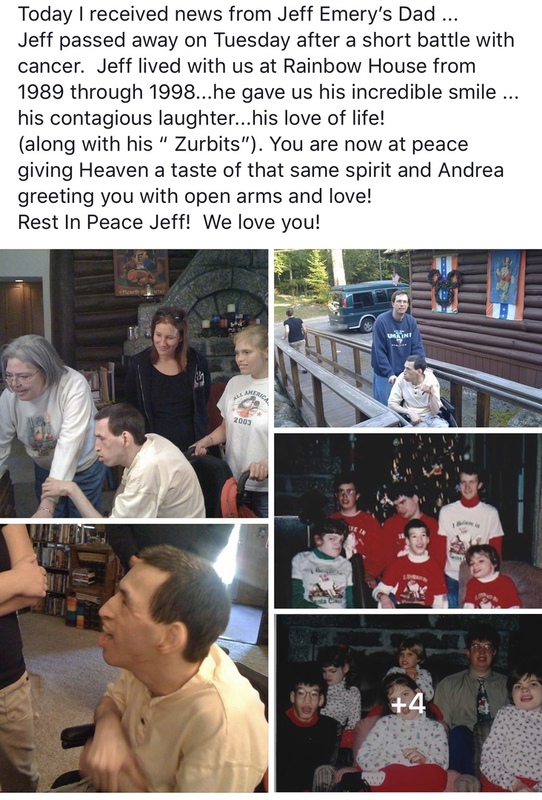 A celebration of Jeff’s life will be held on Saturday, February 2, 2019, 11am at the First Baptist Church, 46 Court Street, Houlton, Maine. Interment will be later this Spring at the Brooklawn Cemetery in South Portland. The Family wishes to express their sincere appreciation to all of the caregivers who’ve given their selfless time, love and devotion to Jeff over the years. May God Bless each and every one of you!